14 years. It's been 14 years since the original. I remember going to see it with my late grandad and dad in the cinema, when my sister was only 1 and yet on Saturday we saw the sequel together. I did look around in the cinema at the number of children in the audience and thought 'man, I'm old'. I don't know where that time has gone, but what I do know, is that ever since I heard that Disney-Pixar was making a sequel, I would 100000% have to go and see it. As I sat down in the cinema, I was unsure if the sequel would match the epic-ness and brilliance of its predecessor. I was not disappointed. I can see why they waited 14 (or I guess 13 odd years) to produce this action packed sequel. Taking off from where the last film left off, we see the family battle the underminer and fight against the law for superheroes to become legal again. 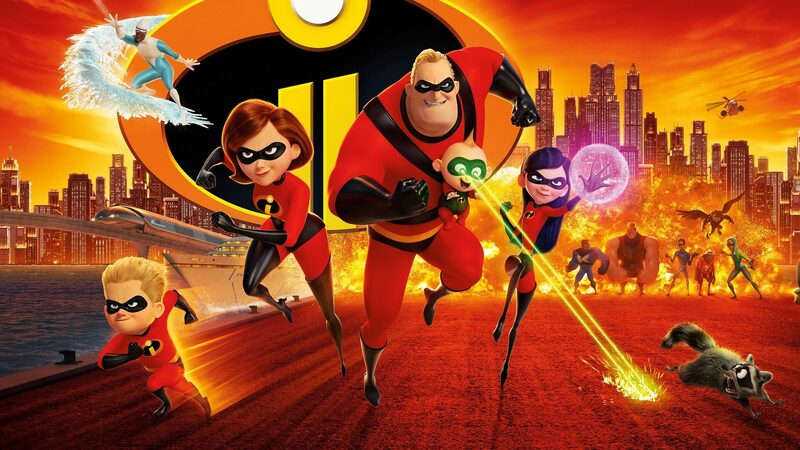 The film focuses on Elastigirl (or Helen Parr, played by Holly Hunter) going out and saving the world, whilst Mr Incredible (or Bob Parr, played by Craig T. Nelson) stays at home to look after the kids. A new villain called the 'Screenslaver' appears, using technology to hypnotise people and the superheroes into following their evil commands. Extremely clever, the villain turns the film on its head, has a good (but a little predictable) twist and brings the family together to fight for victory against them. There are a lot of hilarious scenes in the film, from baby Jack-Jack fighting a racoon and revealing his superpowers, to Edna Mode babysitting after Bob is exhausted. It's hard not to give too much away, as so much happens in it, but I think that any Disney/Pixar fan would be crazy to miss it. Samuel L. Jackson reprises his role as Frozone and the fabulous Brad Bird (also the director) shines once again as Edna Mode. It feels like no time has passed since the original. All that has obviously changed is the quality of the animation, which is out-of-this world. Each detail is fantastic, once again reiterating that Pixar is faultless with their animation style and creativity. Every scene in this film is exhilarating, funny and heartwarming, showing why they have retained their place at the top of the animation pyramid. I can't recommend this film enough, if I could give it more than 5*'s I would. Go and see it. You'll feel nostalgic and like you are a child again. I always love the Pixar shorts. Full of creativity, it amazes me how they keep thinking of new ideas and always seem to make them heartwarming. This short, directed by Domee Shi, was quirky, sweet and funny. 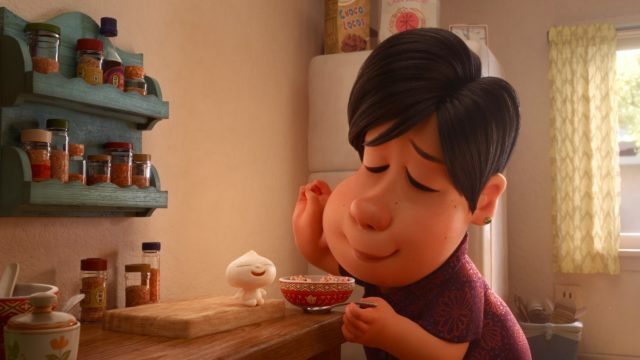 It shows a woman who makes dinner one night and as she is about to eat her last bao bun, finds it to be anthropomorphic. She starts to take the bao bun with her everywhere, acting as if it is her son. As it grows up, it faces some hilarious scenes in which it tries to be a normal child. It then goes through its grumpy adolescent phase, slamming doors and hardly talking to its 'mother'. It then falls in love and brings a girl home, packs his bags and tries to leave. As it goes to leave, she eats him. Yes that's right. Eats him. It then is the next day and her real son (who looks exactly like the bao) comes home to rekindle his relationship with his mother and tries to get his family to bond with his fiancee. It's a very odd film, but nonetheless entertaining and warming. A unique addition to their short films, its plot is something that I would have never ever thought of, proving yet again that Pixar is full of creativity and imagination. When Harry Met Sally: the Greatest Romantic-Comedy of All Time?